A senior Karnataka government official has termed as illegal the ride-sharing services that Ola and Uber offer to consumers, imposing a fresh regulatory hurdle for the two app-based cab aggregators. State Transport Commissioner MK Aiyappa was quoted as saying in media reports that the government would initiate action against ride sharing services such as Ola Share and UberPool after discussion with the companies. The government has called Ola and Uber executives for a discussion on Friday. "Ride-sharing is not possible because they have contract carriage permit, which is for point-to-point drops and not picking up customers in between," Aiyappa was quoted as saying in media reports. To offer ride-sharing services, companies would require a stage carriage permit that allows pick-ups and drops along a particular route. This permit is only given to Bangalore Metropolitan Transport Corporation, a government agency that operates the public transport bus service in Bangalore. However, Uber said its taxi-sharing service does not violate the state's rules. "We believe UberPOOL is clearly within the law. 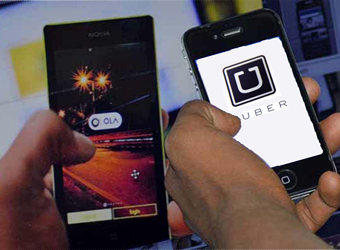 We will continue to engage with the transport department and Karnataka government," an Uber spokesperson said. Uber also said the cost of shared rides is up to 50% less than traveling solo. Besides, shared rides help save fuel and carbon emissions, it said. The response to uberPOOL in Bangalore has been "phenomenal", it said, adding that more than a quarter of its total trips in the city were POOL trips. An email sent to Ola did not immediately elicit any response. This is the latest instance of legal troubles that app-based taxi services are facing in Karnataka. In November last year, the Karnataka government had asked cab aggregators like Ola and Uber to get either a state or city taxi permit to operate in Bangalore. The Karnataka High Court also upheld the state's ruling on a cap on cab fares in the same month. In April last year, the state government had notified that cab-hailing firms should get a permit before operating in the state, to comply with Karnataka On-demand Transportation Technology Aggregators Rule, 2016.